President Trump is floating the idea of commuting former Illinois Governor Rod Blagojevich's sentence. NBC 5's Phil Rogers has more. President Donald Trump is considering commuting the sentence of imprisoned former Illinois Gov. Rod Blagojevich, he told reporters Thursday. Trump said he was "seriously thinking about" commuting the sentence of Blagojevich, who was once a contestant on Trump's "Celebrity Apprentice" while awaiting trial. He added that he was also considering a pardon for Martha Stewart, who was prosecuted by James Comey and convicted in 2004 of obstructing justice and lying to the government. "Plenty of other politicians have said a lot worse," Trump said. "And it doesn’t... he shouldn’t have been put in jail." He suggested he was more interested in “curtailing his sentence” than a full pardon. "And he’s a Democrat. He’s not my party. But I thought that he was treated unfairly," Trump said. The news comes after last week's rare posthumous pardon to Jack Johnson, boxing's first black heavyweight champion. News also broke Thursday that Trump planned to pardon conservative commentator Dinesh D'Souza, who pleaded guilty to campaign finance fraud. "Obviously, we are hopeful that Pres. Trump will do something for Blagojevich," attorney Leonard Goodman. "He has the power to correct this injustice. Blagojevich did not ever improperly enrich himself in office. He did not take gifts or loans from supporters. He followed the rules for campaign fundraising set out by the Supreme Court. He did not take a penny from his campaign fund for his personal benefit. Blagojevich’s priorities as governor benefitted ordinary Illinoisans and not special interests. He pushed through the All Kids insurance program which greatly expanded health care for children in Illinois, and another program that gave free rides on public transport to senior citizens. Yet he was prosecuted anyway by a federal government that had determined to target Blagojevich for removal from office early on during his first term as governor." He added that "Trump understands the unfairness" and "it’s time for Rod Blagojevich to come home to his wife and daughters." Patti Blagojevich said she and her family are "encouraged" by the president's comments. About an hour before Trump's comments, Patti Blagojevich said she planned to speak with Martha McCallum Thursday night on Fox, a network Trump has openly said he's likely to watch. 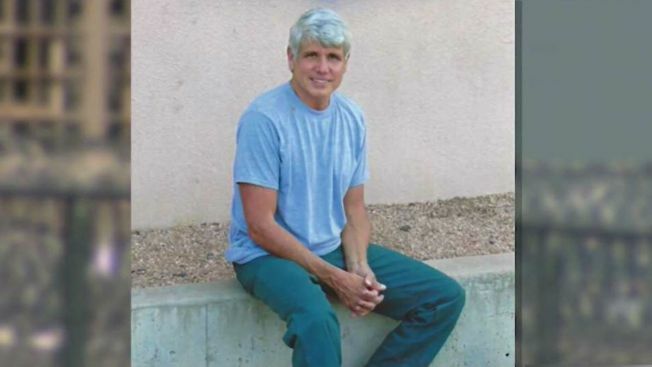 The United States Supreme Court announced last month they would not hear Blagojevich's appeal. The former governor is in his 7th year of a 14-year sentence at the Federal Correctional Institution in suburban Denver. It was a devastating blow to Blagojevich, his family, and legal team, who had hoped they would get good news when the court released its order list. Instead, the Blagojevich case merely appeared on the list under the caption “Certiorari denied,” meaning the court would not consider the case. “Rod, Amy, Annie and I could not be more disappointed in the decision today by the U.S. Supreme Court," Patti Blagojevich told NBC 5 at the time. "From the beginning we’ve had faith in the system and have felt the court would bring Rod back to us. Now, with the judiciary no longer an option, we’ll have to put our faith elsewhere and find another way." The President is familiar with Blagojevich following his “Celebrity Apprentice” appearance. President Donald Trump announced Thursday that he will pardon conservative commentator Dinesh D'Souza, who pleaded guilty to campaign finance fraud. As he left Washington for a trip to Texas, Trump tweeted: "Will be giving a Full Pardon to Dinesh D'Souza today. He was treated very unfairly by our government!" D'Souza, a conservative filmmaker, author and speaker was sentenced in September 2014 in federal court in New York to five years of probation after he admitted making illegal contributions to a U.S. Senate candidate in New York. In response to Trump's announcement, D'Souza thanked "those who prayed for me, supported me & reached out on social media" to call for his pardon. The president's power can only be used to pardon someone for a federal crime, not a state one. Someone who has been convicted of a federal crime and wants to be pardoned makes a request for a pardon to the Justice Department's Office of the Pardon Attorney, which assists the president in exercising his pardon power. Department rules tell pardon seekers to wait at least five years after their conviction or their release from prison, whichever is later, before filing a pardon application. It's then up to the pardon office to make a recommendation about whether a pardon is warranted. The office looks at such factors as how the person has acted following their conviction, the seriousness of the offense and the extent to which the person has accepted responsibility for their crime. Prosecutors in the office that handled the case are asked to weigh in. The pardon office's report and recommendation gets forwarded to the deputy attorney general, who adds his or her recommendation. That information is then forwarded to the White House for a decision. It's not unusual for presidents to ultimately use their power to help hundreds. During his time in office President Barack Obama granted 212 pardons and commuted the sentences of approximately 1,700 people, including about 300 drug offenders he pardoned on his last day in office and Chelsea Manning, the transgender Army intelligence officer convicted of leaking more than 700,000 U.S. documents. President George W. Bush pardoned 189 people and commuted 11 sentences.